The International Maritime Organisation (IMO) celebrates the Day of the Seafarer every year on the 25th June. This day celebrates the work of those who work in the maritime industry, past and present. This year the IMO's theme for the day of the seafarer is career at sea. The IMO is exposing the beauty, adventure and satisfaction of such a career. Transport Malta, together with the Ministry for Transport and Infrastructure, organised an event, to remember those who were lost at sea but also to create more visibility of maritime careers for young students. Hon. Minister Joe Mizzi laid a wreath at sea in the Grand Harbour and paid his respects to past seafarers . The entourage onboard a pilot boat then proceeded to Dock 1 where an exhibition was held. The exhibition showed the works of young students with the theme ‘career at sea'. Ivan Sammut, Registrar General of Shipping and Seamen at Transport Malta emphasised the importance of the maritime industry for the Maltese Islands and the myriad of career opportunities that exist within the maritime industry. Capt. 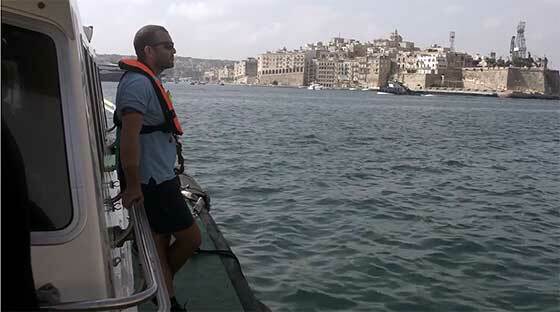 Fritz Farrugia, Deputy Harbour Master at Transport Malta shared a few of his experiences at sea whilst two cadets, who have had a successful five month cadetship with one of the largest shipping companies in the world, also shared their experiences. They showed their resoluteness to continue studying and pursue a seafaring vocation. Transport Malta, as the Authority in Malta responsible for maritime affairs joined other maritime stakeholders in reaffirming its continued support to the further promotion of maritime careers and the maritime industry in Malta.